I’m sure I’m not the only one currently in the midst of a major house clean out and organization bender. New year, fresh start and all that! There have been a few smaller projects that I’ve been putting off for months (read: years) that I figured now was finally as good as time as any to tackle. 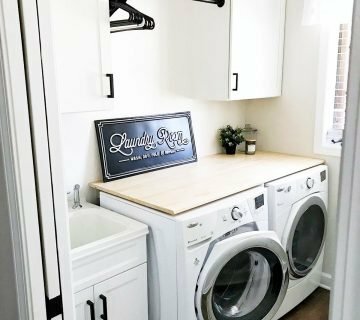 And, while all of those projects are not necessarily deemed “blog-worthy,” those are usually the ones that seem to be the most helpful. 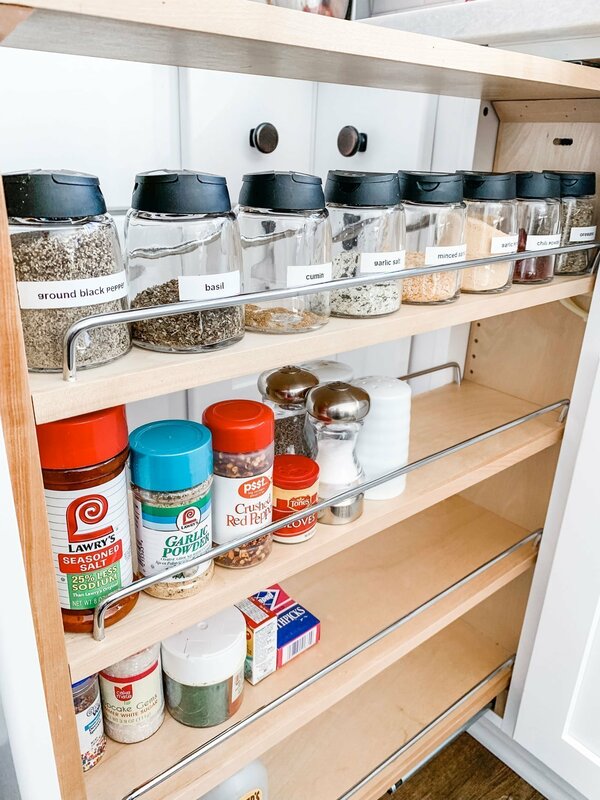 That’s why today we’re talking about a quick, easy way to update and organize your spice cabinet. Yeah, real exciting I’m sure. But stick with me! I did debate writing this post since everything is so simple, but hey – this was how I spent part of my weekend and I’m thrilled with the results. This all started with our trip to IKEA last week. I’ve wanted to combine all my spices into cohesive jars for a long time (#adultingsohard), but I haven’t been able to find the right size/kind of jar. Well, no shock on my end to leave it to IKEA. I came across these jars within our first 10 minutes in the store and didn’t look back. Besides the size, these jars finally had the right kind of top that I was searching for – one side for pouring and one for sprinkling. Sounds trivial, but I like the option. So, like most of the projects that I share here the after means nothing if you don’t see the before. Low and behold, my full, cluttered, EXTREMELY EXPIRED spice cabinet. Who knew that spices had expiration dates? Don’t judge me. The number of jars that I ended up throwing out made organizing this cabinet a hell of a lot easier. Also made it easy to recognize the spices I use on a regular basis! After a quick pre-wash and a date with my trusty label maker, my spice cabinet looks brand spankin’ new. It’s still not perfect, but it’s a start! The jars fit and look better than I thought they would. I’m already itching to get more to further organize some of my baking extras (sprinkles, toothpicks, etc. ), as well as more spices that I didn’t have enough jars for. 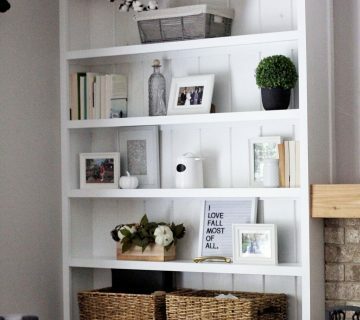 It’s the little organization projects that make the biggest impact! Check out more home-related posts. Same, girl! I always was so stumped with how to get that drawer organized, so I’m glad I came across these jars. It’s so much nicer now! Looks great! You’ve inspired me to start doing some organizing in my kitchen. Thanks, girl! Now is a great time to do that stuff when we’re battling the cold/snow. It’s like you read my mind! This weekend I was JUST complaining about the spice situation as it’s just so messy and no matter how much I organize it, it’s like a disaster the next week! Girl, get these jars in your life – all your spice organization issues will be solved! I never knew it could look so good with all the same jars and labels! So good, right? Makes my heart happy! I had a whole ‘spices have expirations’ conversation with someone lately. Never did I think about that until I moved and was cleaning out my cabinet. It’s amazing how many old ones I had! Love those new jars – such a pretty and cohesive look! I’m glad I’m not the only one! Kind of embarrassed at how much I threw out because of expiration dates, but at least I probably won’t make that mistake again. Honestly, you sharing these jars is the best thing to happen to my Monday! 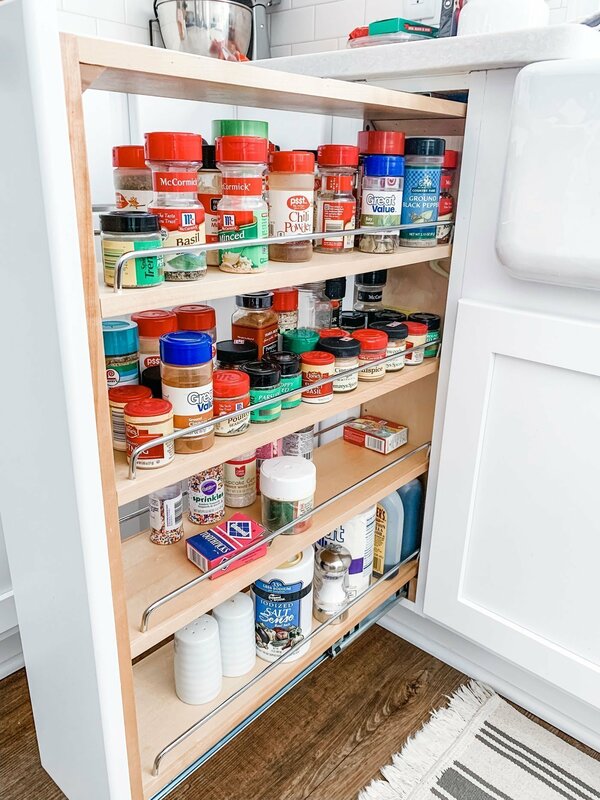 I’m jealous of your spice rack – mine are all stuffed in our lazy susan and I have duplicates & it’s so messy. I need this in my life! Ordering those jars…. Lol, well I’m so glad to hear that! 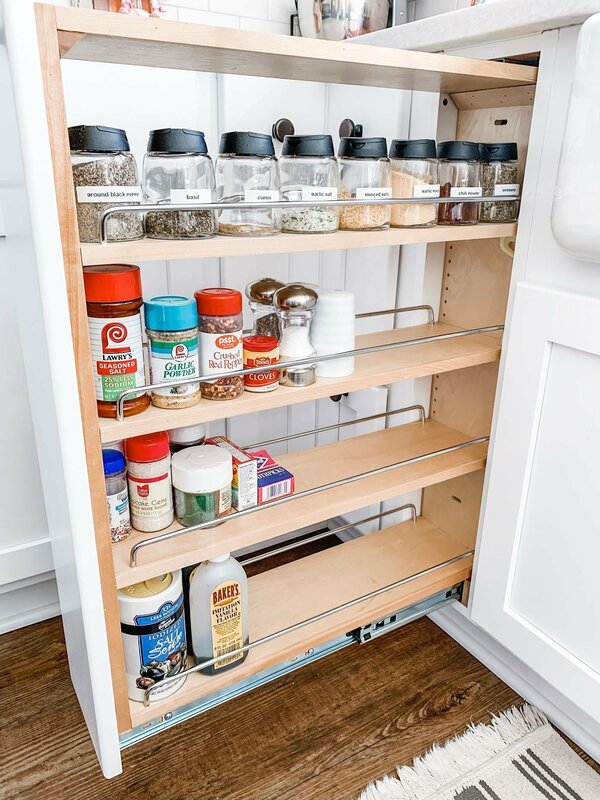 I think regardless of your spice organization set up these jars would be perfect – especially on something like a lazy Susan so you could still see the labels, etc. Hope you get them and love them, too! I probably need to do the same with my spices ( not to mention my pantry, lol) and this has inspired me! It would be a good (and easy!) project to tackle with all the snow and cold weather! I love these. I currently have little glass containers but these are a bit bigger so may work even better! I’ve been really happy with them!